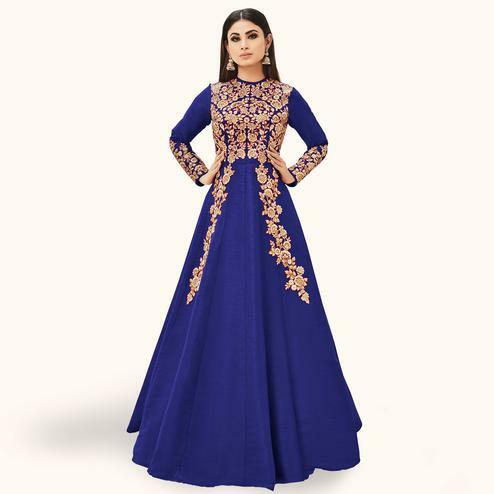 Elegance and charm is what you will exude once you get dressed in this high collar neck anarkali suit. 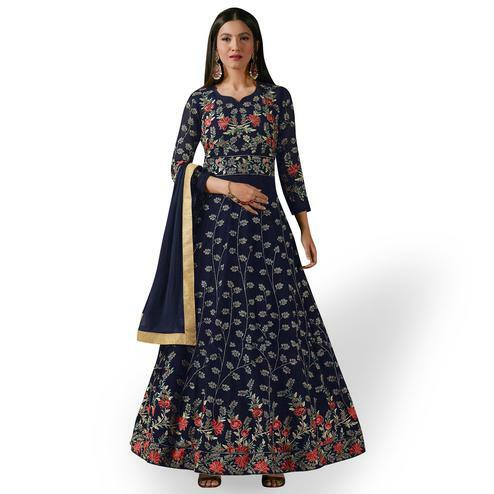 Its attractive colour and charming floral embroidered work at yoke sleeves and flair of the kameez while the pure georgette fabric ensures superb comfort throughout the day. The outfit comes along with matching santoon bottom lining and chiffon dupatta worked with lace border. 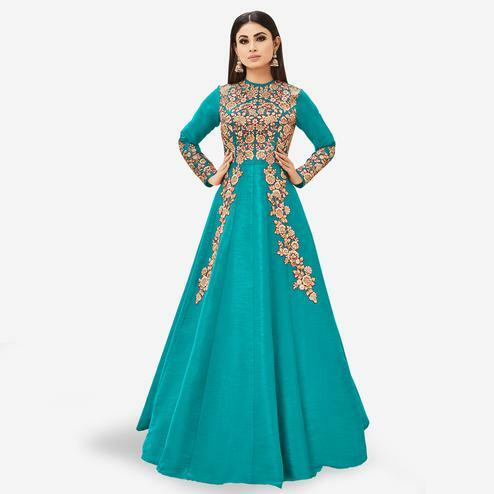 This attire is ideal for parties ceremonies & special occasions.